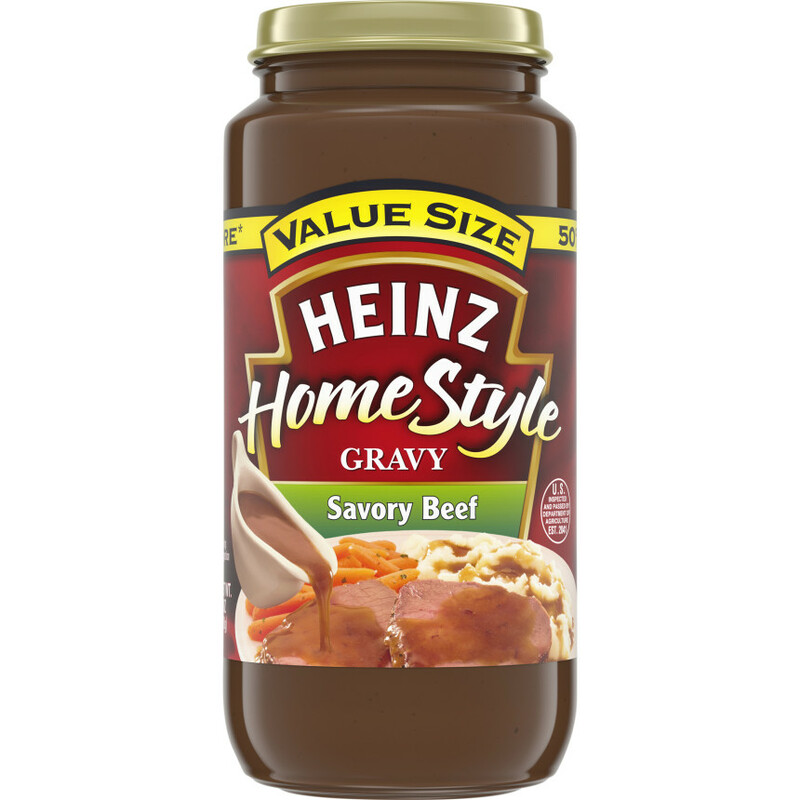 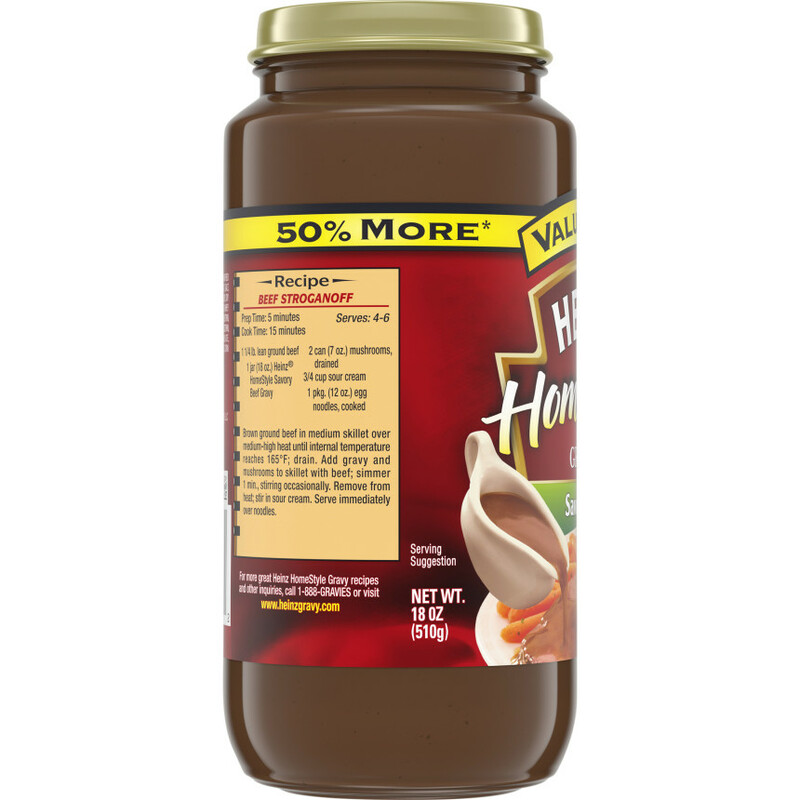 Made with real, savory beef, Heinz HomeStyle Savory Beef Gravy makes all of your homemade meals better, from mashed potatoes to pot roasts! 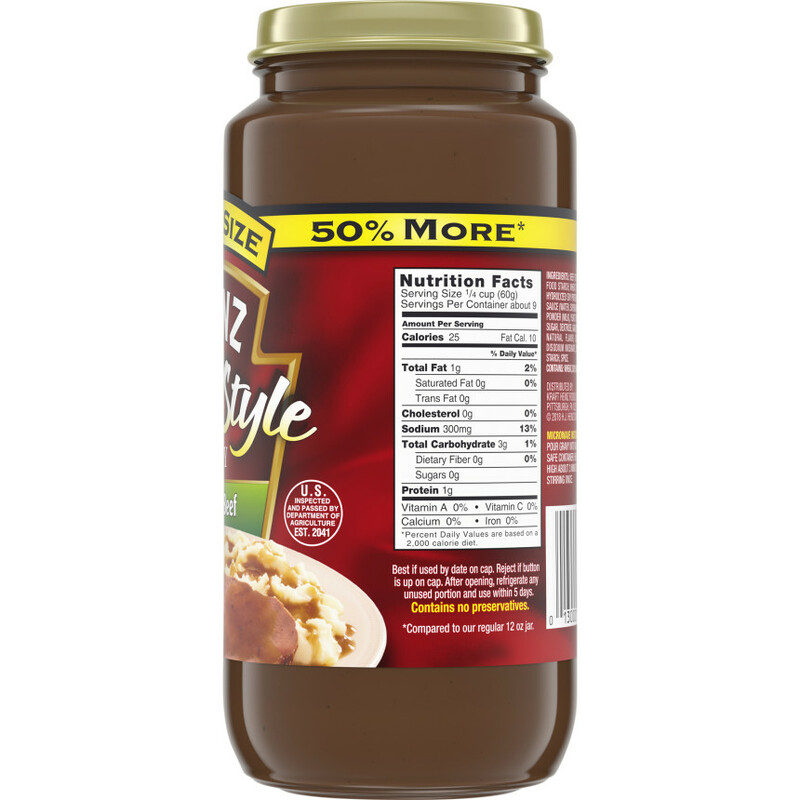 In a size that's just right for families! 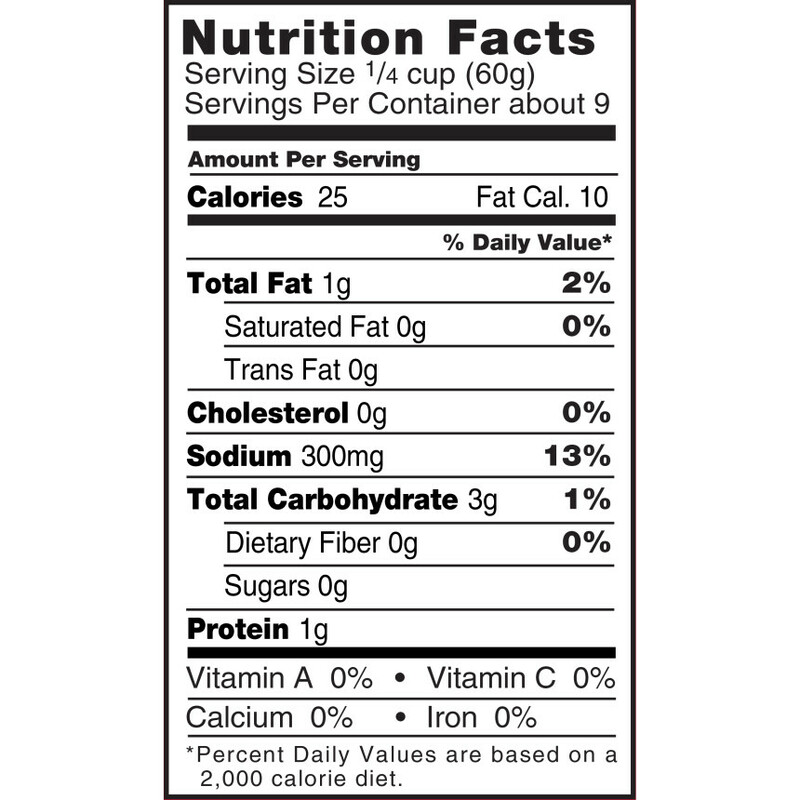 BEEF STOCK, WATER, MODIFIED CORN STARCH, WHEAT FLOUR, SALT, HYDROLYZED SOY PROTEIN, BUTTER [CREAM, SALT], CARAMEL COLOR, BEEF, SOY SAUCE (WATER, SOYBEANS, WHEAT, SALT), WHEY POWDER (MILK), YEAST EXTRACT, SUGAR, DEXTROSE, GARLIC POWDER, CORN MALTODEXTRIN, SOY LECITHIN, NATURAL FLAVORING, DISODIUM GUANYLATE, DISODIUM INOSINATE, ONION POWDER, SOYBEAN OIL, BLACK PEPPER.